Adelaide, capital of South Australia is a must visit location for your next 4WD adventure. The State of South Australia has a diverse landscape and there is something for all to enjoy. You will find desert plains, awesome National Parks and pristine coastlines – all packed for an exciting 4x4 adventure filled holiday. Visitors can enjoy camping at unique sites and explore the wonderful walking tracks dotted all over South Australia. 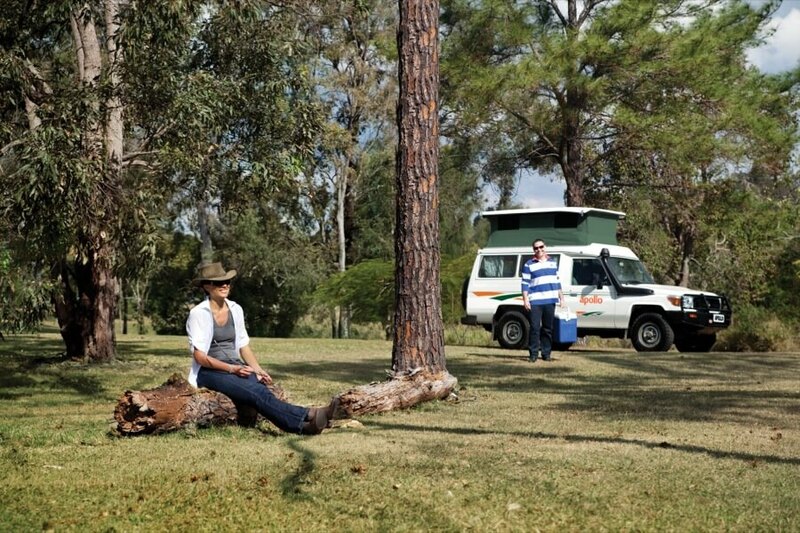 Hire a 4WD Camper in Adelaide from Aussie Campervans. We have a comprehensive range of 4WD Cars and 4WD Campers for your 4WD adventure. You will find competitive prices and you can be assured that the 4WD vehicles are well maintained to industry high standards. Eyre Peninsula - A favourite place for 4WD enthusiasts wishing to try out their 4WD camper rentals and 4WD cars in Adelaide. This region offers great 4WD tracks coupled with the most amazing and pristine coastlines you will find in this part of the world. There are a number of great campsites in the Lincoln National Parks, home to the Memory Cover Wilderness Park. You will be amazed by the stunning coastal views and the abundance of Australian native wildlife – a perfect holiday spot for the entire family. The peninsula is bordered by Port Augusta on the east and Ceduna on the west. Along the Lincoln and Flinders Highway there are coastal bays, huge sand dunes and beaches offering great fishing, swimming and surfing. Flinders Ranges National Park – a must visit National Park that offers spectacular views and thrilling 4WD tracks. The Park features the majestic natural amphitheater of Wilpena Pound (located inside a giant stone crater). Here you can enjoy driving through creek crossings in your 4WD Camper and attempt to climb the Great Wall at Wilpena (if you are game). There are also a number of nice camping spots to experience the South Australian Outback. There are many walking trails in the Flinders Ranges National Park ranging from easy to challenging. 4WD adventurers can go driving into the outback and explore the desert tracks with fascinating geological formations and ancient gorges. Things to do include scenic flights and hot air ballooning – operate daily. Little Dip Conservation Park – this is another popular 4WD spot for 4WD rental enthusiasts with its rugged coastline and large area of coastal sand dunes. The park is open hours a day, 7 days a week. There are some great 4WD runs down the beach. Note: This area is renowned for being boggy so take care and suggest travelling with others is recommended. The coastal scrub is a haven for the many varieties of bird life in the park. This picturesque location with some great lagoons and lakes offer great 4WD camper touring and the beaches provide good opportunities for swimming and surf fishing. Camping fees apply at Little Dip Conservation Park @ $13.00 per vehicle and additional $10.00 per person. The Ngarkat National Park is home to the legendary Border Track, a popular 4WD track. The 29km Border Track is open from 1 April to 31 October and is restricted one-way from north to south. Note: the track is closed during the Fire Danger Season. The track offer captivating desert country views especially at Hensley Trig Point with amazing views of the vast desert. The park abounds in wildlife including kangaroos and emus plus many species of birds and one can enjoy the interesting walking tracks. There are good camping spots in the Border Fence area.